An external USB-powered battery is not a complex piece of electronics. Generally it has energy input, energy output via a couple of standard USB ports, maybe a few LED lights for measuring the charge, and perhaps a flashlight if the manufacturer is feeling creative. But today's Amazon Gold Box deal includes a battery that can actually start your car. How's that for flexibility? The Anker gadget (an economical brand name we've come to trust) is going for $59.99, $100 off the retail price. Technically I suppose this is a car starter that can also charge your gadgets via two USB ports (1 and 2.1 amps, if you're wondering). 10,000mAh is about enough to charge a regular phone three times, but it's also juuuuust right to put enough juice back into a car battery for the engine to turn over. With an added flashlight built into the case, this is a handy gadget to keep in your car for emergencies. 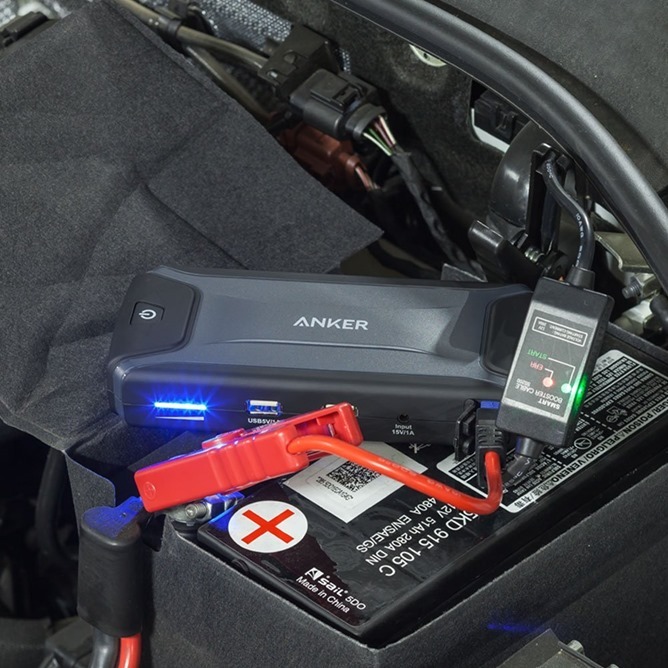 The package includes standard wall and car charger adapters, so you can keep the internal battery topped off for jumping your car while you charge multiple gadgets, plus a tiny set of jumper cables with a built-in meter that lets you know when to attempt to start the engine. $60 is a lot of money for a 10000mAh battery, but vehicle jump starters range in price from $50 to almost $200, so this is still a good deal for such a versatile device. Gold Box deals are active for just one day and come with free shipping for Amazon Prime members.